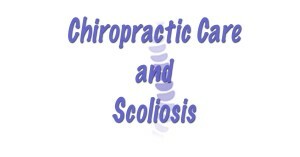 Why is Chiropractic Care so Effective for Scoliosis? Many people resort to chiropractic care after an accident or injury, but wellness visits are also important and can be incredibly effective for many conditions, such as scoliosis. Scoliosis is a condition in which an individual presents with an abnormal curvature of the spine. While each case differs in severity and recommended treatment, chiropractic care can play a crucial role in correcting and treating the spine with pain management. Here is a couple of valuable ways in which chiropractic care is effective for scoliosis. A Chiropractor, such as Todd Goldman of Medford, can locate areas of spinal subluxation and work to correct them. By receiving periodic examinations, the spine will be monitored to detect any abnormalities and take note of any changes. Many case reports have determined that receiving regular adjustments can significantly reduce the angle of the curvature of the spine in patients with scoliosis. Receiving chiropractic care can prevent scoliosis worsening. Although many cases of scoliosis are fairly mild, it’s important to be attentive to any change that indicates progression, especially if it happens rapidly. Obtaining regular chiropractic visits helps aid in any discomforts associated with scoliosis, including disruptions within the nervous system. By starting care early, any damage that scoliosis may cause is minimized. Your chiropractor can assess any concerns regarding your spine and develop a personal treatment plan specific to you and your body. The best thing to do is contact Total Chiropractic Care today to set up a visit. Dr. Goldman will perform a comprehensive exam and set you up with a drug-free, noninvasive treatment plan.